Mr. Poopybutthole is in trouble! Explore the complexities of friendship and fame in Lil' Poopy Superstar! This volume contains the whole runaway hit comic book miniseries based on Dan Harmon and Justin Roiland's hilarious [adult swim] animated show Rick and Morty. Mr. Poopybutthole is in trouble, and he turns to the one person he can trust: Summer Smith! She's more than willing to help, but is he telling her the whole truth? 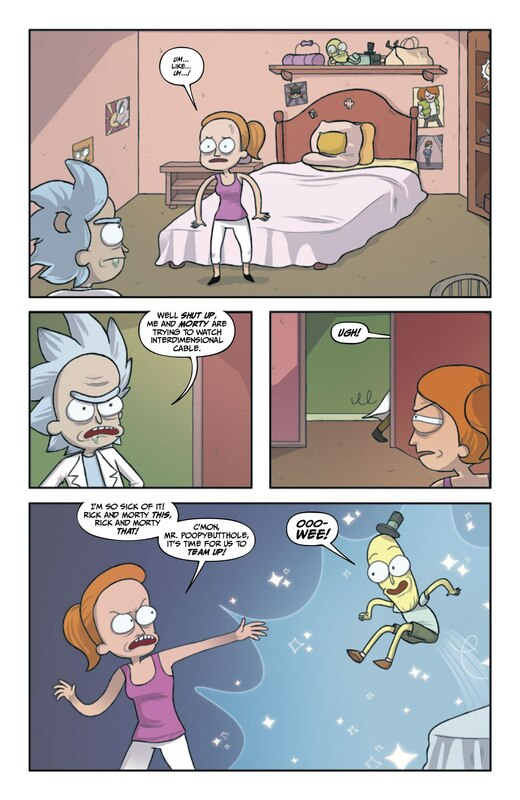 Summer will find out as she and Mr. Poopybutthole embark on their very own adventure across space, complete with jailbreaks, hijackings, and high school prom! Nominated for Licensed Comic of the Year and Best New Comic Book Series in the Diamond Gem Awards 2016! Lil' Poopy Superstar is out now from all good book stores! 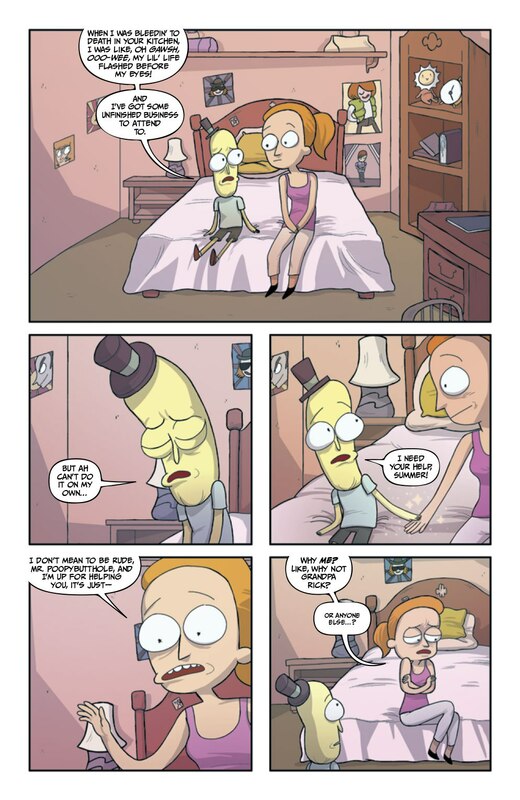 “A confident start for the title’s first spin-off…We still don’t know what Mr. Poopybutthole’s whole deal is, but Lil’ Poopy Superstar #1 makes me very curious to find out."